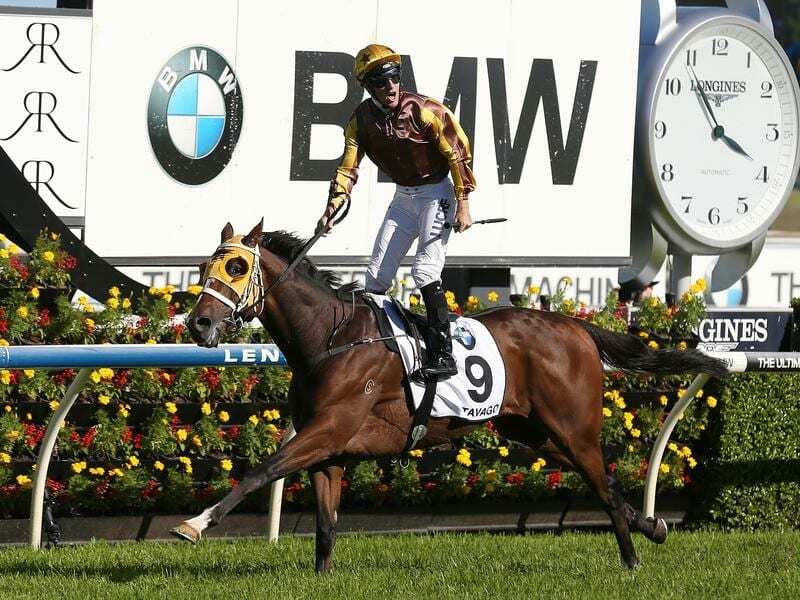 The 2016 Australian Derby winner Tavago will make his long-awaited return from injury at Flemington. All trainer Trent Busuttin wants from Tavago is to see him return in one piece after he has his first run in 18 months at Flemington. Tavago and stablemate Main Stage run in Saturday’s Group Two Blamey Stakes (160m) with a view to a possible Sydney trip. The winner of the 2016 Australian Derby, Tavago has not raced since the spring of 2017. Busuttin, who trains in partnership with Natalie Young, said they forgot about Tavago for 12 months, giving the gelding the opportunity to overcome his ailments. “Without being a disaster, he’s had suspensory issues,” Busuttin said. “We now work him out the back on the sand dunes at Cranbourne and on the treadmill. “It’s the soundest he’s ever been and it sounds funny, but he’s fully mature now. The Group One Ranvet Stakes at Rosehill on March 23 and the Group One Tancred Stakes a week later are potential targets. “He’s a six-year-old that’s had 14 starts and he’s a gelding,” Busuttin said. After a hectic three-year-old campaign, Main Stage missed last spring, returning in a benchmark 78 race at Pakenham on February 14, finishing fourth. “He did it upside down,” Busuttin said. “We thought he’d be out the back door, sitting last, or thereabouts and charging home, but he was up on the steel running third. Best Of Days passed part one of a crucial test at Flemington on Wednesday allowing him to be among acceptors for Saturday’s race. The Godolphin horse took no part in last week’s Futurity Stakes and the stable wants him to run on Saturday to press claims for an All-Star Mile berth. Best Of Days must successfully compete in a second jump-out at Sandown on Thursday morning if he is to start on Saturday. All going well, he will be ridden by Brad Rawiller who is set for his racing return after recovering from a serious neck injury suffered in a fall at Cranbourne in October.